This remarkable Ayers Rock Tour has it all. From the crimson colours of Uluru to the ancient sandstone walls of the Kings Canyon, you’ll trek through Australia's heartland, experiencing its true beauty, remote wilderness and cultural significance. 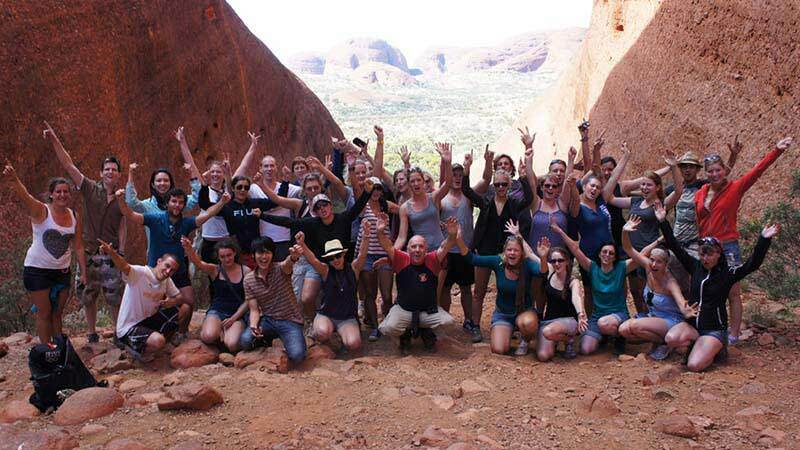 Experience the real outback Red Centre and Uluru over three days and two nights with this quality, fun, and adventure-packed tour. Enjoy guided walks witnessing the incredible sandstone domes of The Lost City and feel the spiritual significance of The Valley of the Winds at Kata Tjuta. You’ll also get to dig in to some real Bush Tucker and see the picturesque sunset over Uluru - with the option of taking a camel ride! This will be an experience that you will never forget.